We managed to get out of the crowded harbor at Annapolis without hitting any other boats or piles. The wind was light and the current slow. It was cloudy and dull almost all day. Arriving at Chesapeake City at 1:30PM we docked on the south side of the Chesapeake & Delaware canal at the Chesapeake Inn & Marina. The canal connects the north end of Chesapeake Bay to the Atlantic. The canal was first built in the early 1800's. The original locks have been removed and now ocean going freighters can pass through. A car freighter was leaving the canal as we arrived. The town is very interesting with many old homes dating back to the 18th century. Some are B&B's now and other tourist shops. 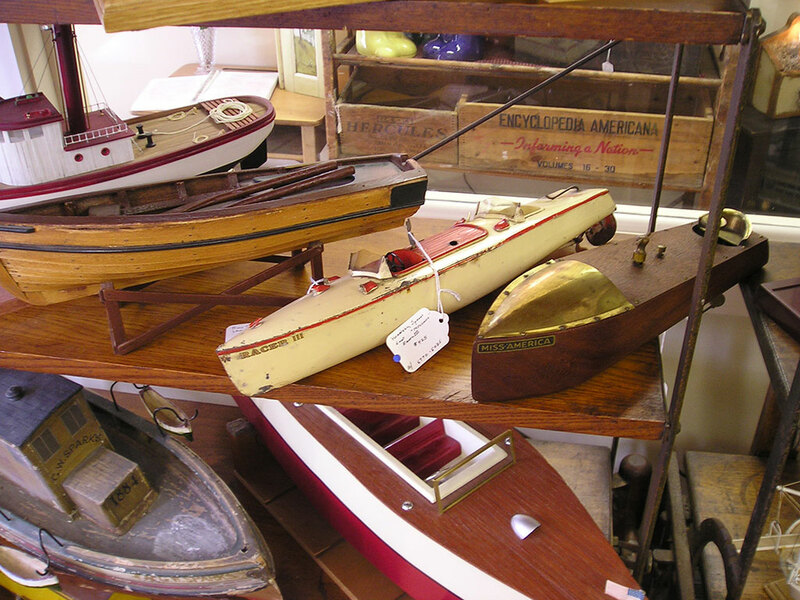 An antique shop specialized in toy boats including the all metal British windup launch I had as a kid in Toronto. 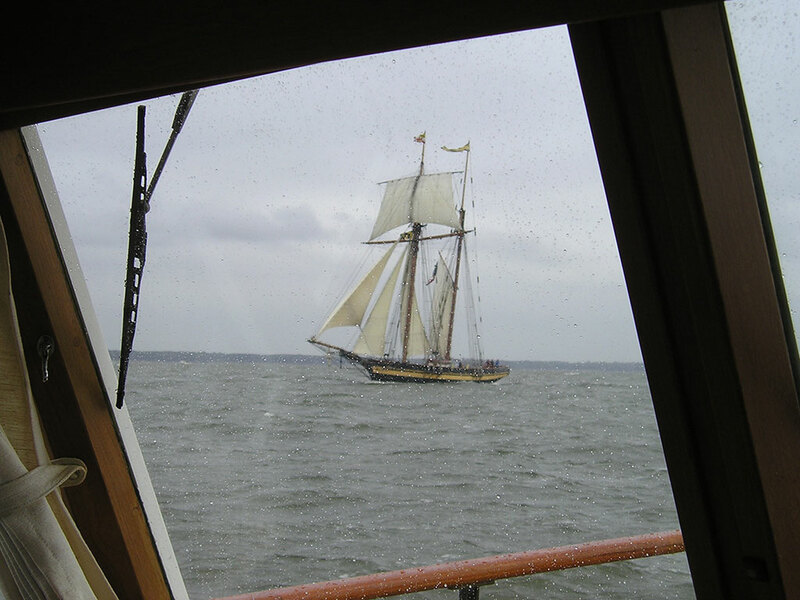 Every day cruising brings something interesting and today it was a square rigged schooner under full sail. It was rough (2-3ft waves) and the windshield was covered in spray but in spite of that the photo turned out pretty well.